This INOX Glass Clamp has a 1 11/16" width for 1 2/3" Tube. Stainless Steel Handrail Support Elbow 90d Angle 2 61/64" x 2 61/64", 1/2" Dia. 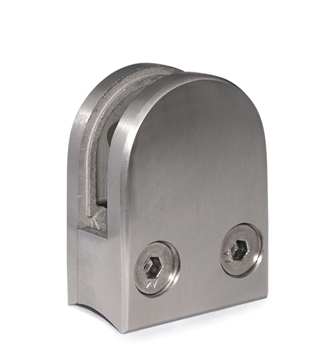 Stainless Steel Handrail Support 2 61/64" x 2 61/64", 1/2" Dia., With Rigid Mounting Plate Stainless Steel Sphere 2 23/64" Dia. Threaded Blind Hole, Threaded M10 Stainless Steel Anchorage For Tube 1 2/3" Dia. x 5/64"